Such a simple dish but it’s so yummy! Slightly caramelized on the outside with a burst of flavor followed by a creamy buttery inside. 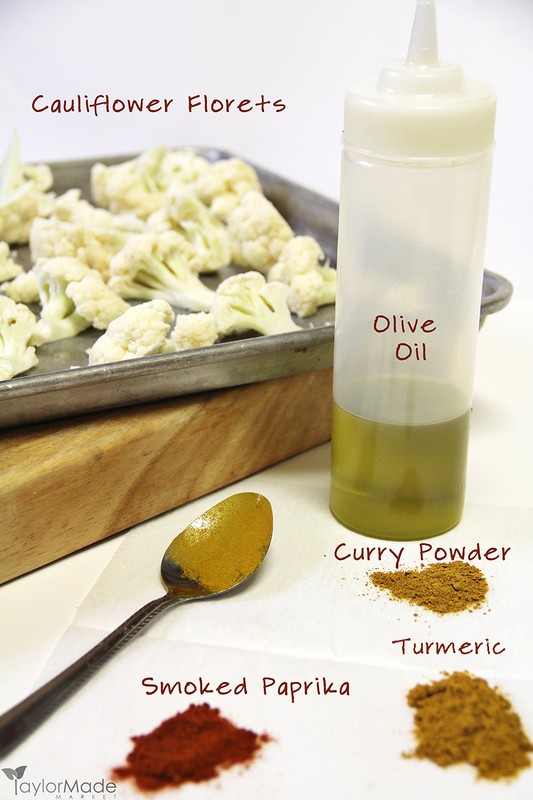 Here is what you will need: Cauliflower, Olive Oil, Curry Powder, Turmeric, Smoked Paprika and some sea salt. I highly recommend using a good quality curry powder.. Not the cheapo $1.99 stuff in the grocery store. I buy mine from an asian market. 90% of the label is in another language but this is the real deal. As far as the smoked paprika.. OH MY! I LOVE this stuff.. Not the boring zero-taste paprika you put on deviled eggs.. This amazing spice is full of smokey flavor and more robust than plain paprika but still mild. I add it to lots of dishes. You can do this in a bowl but that means extra dishes.. I just combine it on the sheet pan. You could also line the pan with foil for a super easy clean-up. GRAB A GLOVE (or a spoon) I love these gloves.. We used them in the restaurant and I always have a box at home.. They are great for handling raw chicken and ring, ring.. You hear the phone.. No problem, just whip off the glove and talk away.. No need to run to the sink and wash your hands. Just throw the glove away when you are done. 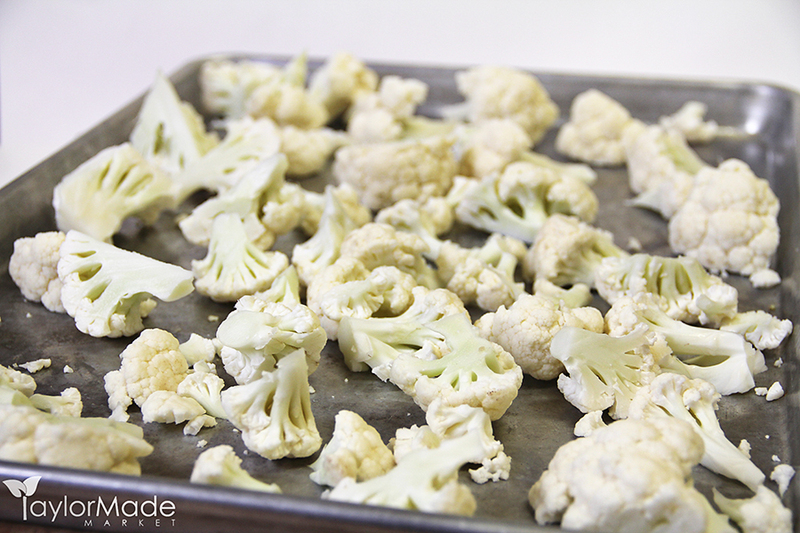 Massage the cauliflower for a few minutes until it is completely coated..
Roast for 20-30 min.. and Viola! 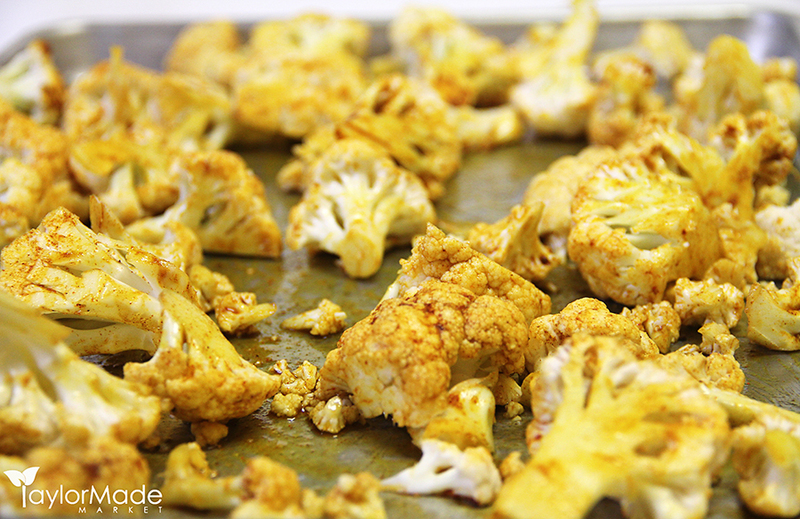 It’s done..
Place the cauliflower florets on a sheet tray. 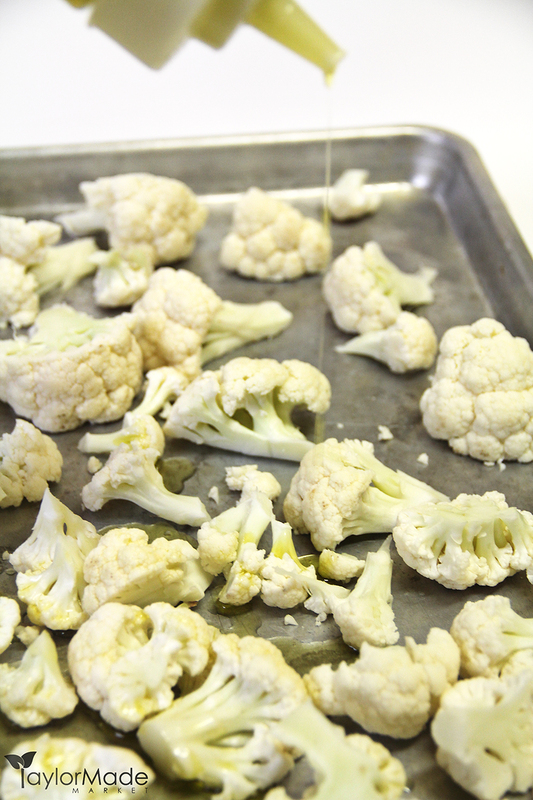 Drizzle the olive oil over the cauliflower. Mix the tumeric, smoked paprika, curry powder & salt together. 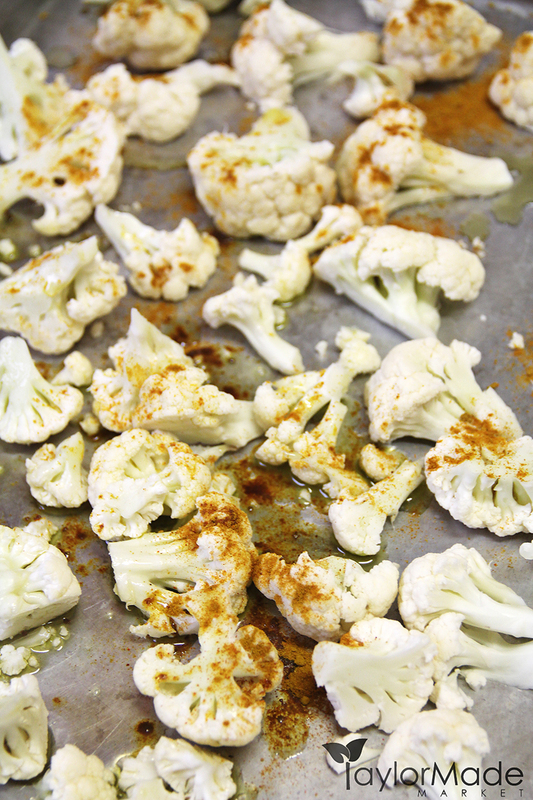 Then sprinkle over cauliflower. 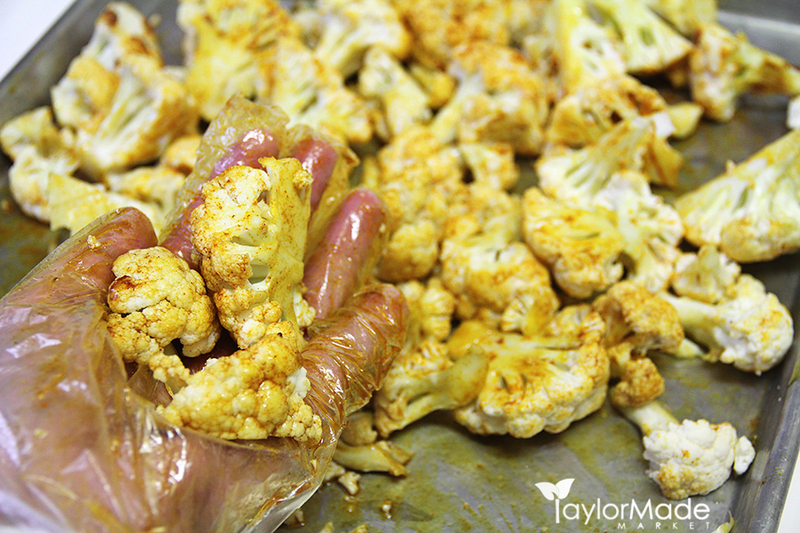 Wearing a glove massage cauliflower until completely covered with spices. Roast 25-30 min in the oven, stirring halfway through. Season again with salt to taste.